We are going on tour! Come and visit us at any of the 10 locations we will be visiting this year and find out all about how you can skip the HSE waiting lists in Ireland and receive treatment with us in Belfast. Phone 048 9068 8858 or +44 (0)28 9068 8858 from a Republic of Ireland mobile telephone, to speak to our One2One Patient Advisor, at Belfast’s Kingsbridge Private Hospital, who will talk you through the simple steps involved to get you off the waiting list and get your treatment started. Alternatively, email crossborder@kingsbridgeprivatehospital.com for more information or to arrange a callback. At the current time cardiac surgery, cancer treatments and paediatric surgery for under 14s is not available at Kingsbridge Private Hospital. 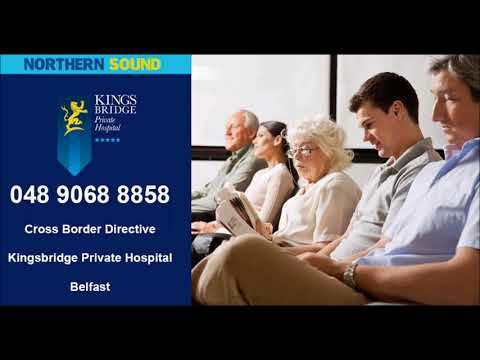 Phone 048 9068 8858 today to speak to our One2One Patient Advisor, at Belfast’s Kingsbridge Private Hospital, who will talk you through the simple steps involved to get you off the waiting list and get your treatment started. Alternatively, email crossborder@kingsbridgeprivatehospital.com for more information or to arrange a callback. The HSE application form for prior authorisation should be completed by you, the patient, and by the medical professional who is referring you for treatment abroad. Should you wish to refer a patient to the Kingsbridge Private Hospital for services provided under the EU Cross Border Healthcare Directive please complete our Cross Border Patient Referral Form. “Please do not remain in pain. If it’s not for yourself, maybe it's a relative or friend, maybe a neighbour you see struggling every day, whoever it may be, please tell them about the CROSS BORDER TREATMENT. Yes, you need the money up front, but the wonderful thing about this EU Directive is that HSE will reimburse most of the monies, leaving you with only the shortfall to cover. DON'T REMAIN IN PAIN! Make that call to Patrice or Joanna and get your life back! Thank-you to all the staff at Kingsbridge Private Hospital. I would also like to say a huge thank-you to my Consultant and that my eyesight now is wonderful". EU legislation means that you have the right to receive medical treatment in another EU member state and skip the HSE waiting list. The HSE will pay the bill. What does this new legislation cover? Most treatments, except organ transplants. It covers hips, knees and heart operations and diagnostic scans. It also includes psychiatric and addiction treatment. Does the Cross-Border Directive have any connection to the E111 or Treatment Abroad scheme? No this is completely different from the E111 form that covers EU citizens who fall ill when aboard. The Treatment Abroad scheme also differs as in it only covers treatments that are not available in Ireland. The EU Cross Border Directive covers patients who need planned procedures and who are on a waiting list for an Irish hospital. The Directive was fully introduced in February 2015. How long do I need to be on the waiting list for? You don’t even need to be on a waiting list. Your GP can refer you directly for treatment. 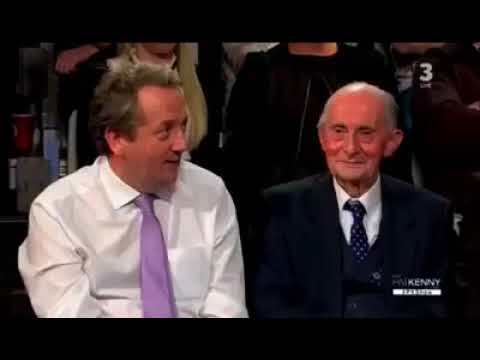 Will the HSE therefore pay the cost for my treatment in a private hospital abroad? It may do, but thousands of patients have already availed of this. The Department of Health and the HSE have publicly confirmed that the legislation is in place. Does the HSE really have to pay for this? Yes, though payment is needed up front. The HSE will then reimburse you when you have provided proof of your treatment. Note though that the HSE will only pay the cost of that treatment in Ireland or the cost of it abroad – whichever is lesser. How will I know how much the operations cost? The HSE can help you find out about this. Simply contact them. Details are below. Or you can call us and we will be able to answer any questions you might have. Can a private hospital overseas really be cheaper than having the treatment in Ireland? Yes. Treatment in Ireland is expensive and lots of people have travelled to Belfast to avail of cheaper healthcare costs. Will I have to wait long on the HSE reimbursing me? You might have to wait a few weeks however credit unions in Ireland are now providing medical loans to enable more patients to avail of the scheme. You must pay for your own travel costs. Many GPs have not taken the time to investigate this option for their patients. You will be entitled to follow up care such as physiotherapy also. Do I need prior authorisation from the HSE before I travel? Prior authorisation is not necessarily needed and our One2One team at Kingsbridge Private Hospital will guide you through the application process. We will fill in the paperwork for you! For further details, phone 048 9068 8858 or +44 (0)28 9068 8858 from a Republic of Ireland mobile telephone, to speak to our One2One Patient Advisor, at Belfast’s Kingsbridge Private Hospital, who will talk you through the simple steps involved to get you off the waiting list and get your treatment started. Alternatively, email crossborder@kingsbridgeprivatehospital.com for more information or to arrange a callback. You can also find out more by contacting the HSE’s National Contact Point, Cross Border Healthcare Directive Department on 056 778 4546 or email crossborderdirective@hse.ie.